Welcome to the May 2018 edition of IMAgine, the monthly e-news of the Islamic Museum of Australia (IMA) Education Program. The IMA Education Program is committed to supporting constructive social outcomes through education about Islam and Muslims, in Australia and beyond, and through facilitating intercultural encounters, conversations and dialogue with Muslim perspectives. To celebrate a special time in the Islamic calendar, we are most pleased to have Australian International Academy take part in our Ramadan Package, jointly developed and offered with Commbank. A special item on their experiences will follow in the June edition of IMAgine. Following the record of 600 students visiting IMA in one week set in March 2018, April and May have continued to see strong growth in student numbers. So far, there has been an overall growth of 57% compared with 2017 figures. Our Ottomans Package links to the Year 8 History curriculum or VCE/IB History. The Ottomans Package includes: a short introductory presentation and interactive activities, an optional quiz based on IMA gallery content, an optional art workshop, Q&A and closing debrief. Our Ottomans Package is only one of several curriculum-aligned standard packages we offer (https://islamicmuseum.org.au/education/education-packages). All standard packages include a presentation, tour, and activities. Delivery time for all packages is 2 hours (add 45 minutes for an additional arts workshop). These timings exclude any breaks required by a school. Teachers with a valid teacher registration ID enter IMA for free. All other helpers accompanying students on a visit to IMA will be charged the entry fee. IMA was honoured to host a jam-packed professional development seminar in conjunction with Muslim Collective. Facilitated by three enthralling community leaders, Reem Sweid, Nur Shkembi and Sherene Hassan OAM, attendees participated in an interactive seminar tracing the role of contemporary Islam in Australia which included a fully guided curator's floor talk. Don't worry if you missed out - we invite you to visit the Ways To Be Muslim exhibition that will be running until 8 July. If you think you've got what it takes to be our next Public Programs & Education Manager, then we'd love to hear from you! Reporting to the IMA General Manager, the purpose of this role is to manage the development and delivery of IMA’s programs for a variety of audiences. The successful candidate will also facilitate education and program partnerships that embody the Museum's mission and objectives. We are looking for Mums & Bubs ready to get their groove on! Join us for a journey of music, song and dance tracing traditional African stories, rhythms and instruments! 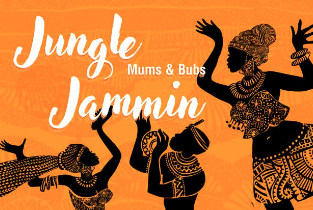 Mums and bubs under 5 are welcome to join in our FREE workshop where you will both enjoy chanting, clapping, singing and dancing as you are fully immersed in the fusion of music and culture. We are excited to announce that IMA's inaugural Community Week will be held from 29 June - 6 July! During this week we will be hosting an array of interactive activities for kids including arts and crafts workshops, cooking classes, film screenings and panel discussions. Best of all, kids enter the museum completely FREE! Pencil the dates in your diary and stay tuned for further announcements! Copyright © 2017 Islamic Museum of Australia. All rights reserved. Hi, just a reminder that you are receiving this email as an educator who has been in touch with, and/or visited, the Islamic Museum of Australia. You may unsubscribe if you are no longer interested in being kept up to date about the IMA Education Program. 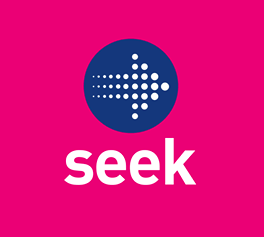 The Islamic Museum of Australia, ABN 88 561 206 382, is a not-for-profit foundation and a registered charity.